Commit2Change is an organization works with seven all-girl orphanages around India. The aim of the organization is to help these girls escape the poverty cycle and human trafficking through educational and financial assistance. 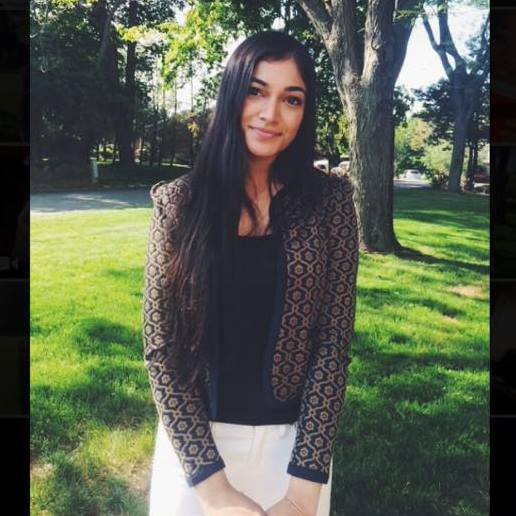 Roya has been extremely passionate about global women’s rights since a young age, and after reaching Princeton, finally had a means to initiate a program that can help. 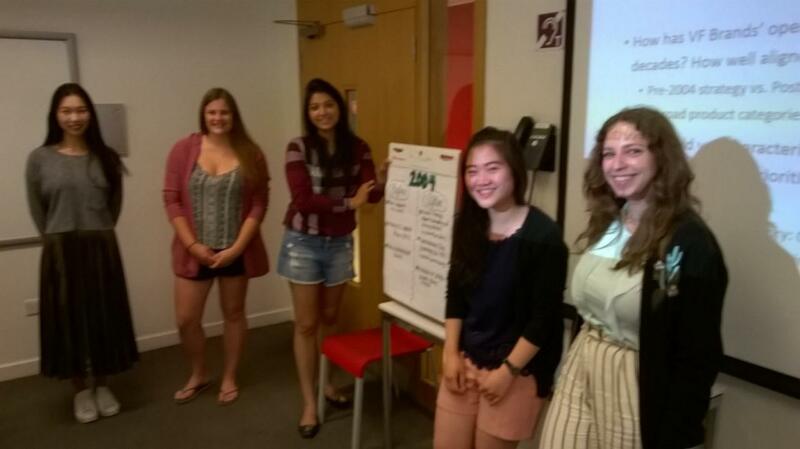 She thus started Commit2Change Princeton, a student group that works with Commit2Change’s orphanages. Commit2Change Princeton helps the orphan girls through student means—such as tutoring, card making events and tampon drives. 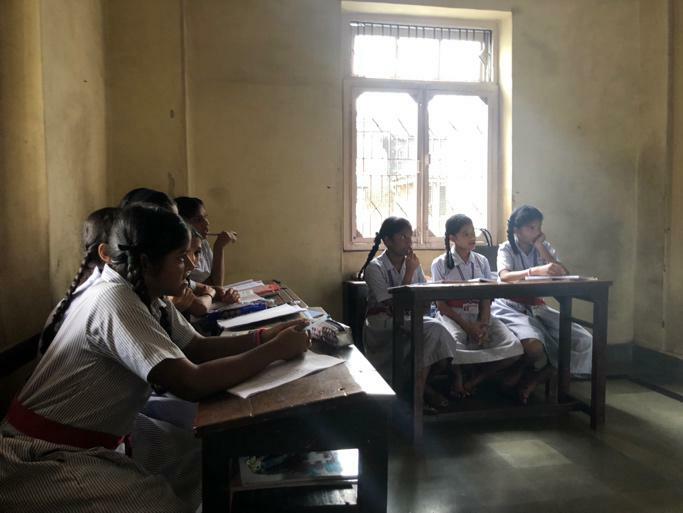 A main project that Commit2Change Princeton has been working on is developing short, summary videos on basic English, Math and life-skills topics in the various dialects so that the girls have a direct, re-playable access to education. Roya will be volunteering directly with the girls, from tutoring them in various subjects to empowerment workshops. She hopes to spend her time there getting to know the girls on a personal level, and her underlying goal is to not only help them achieve a better future, but to also let them know that they have a friend, or sister, that is willingly supporting them. As a result of the Bruce Alan Embersole’s generous scholarship, I was able to travel to India and visit Seva Sadan, an orphanage in Mumbai. On campus, I started Commit2Change Princeton, a campus chapter that helps orphan girls in India gain access to education. We make educational videos—from financial planning to basic biology. Through the BAE scholarship, I was able to visit the orphan girls that Commit2Change partners with, and work with them first-hand. The experience was motivating, humbling and full on incredible. While I was technically the teacher, I found that my students became my mentors, teaching me life lessons and how to always smile. I was amazed by the girls’ strength despite their harsh pasts. I was also stunned by the stark difference in schooling that the girls received and that I received. Just from the picture below, you can see that there is only one black board, some chalk and long tables for desks. 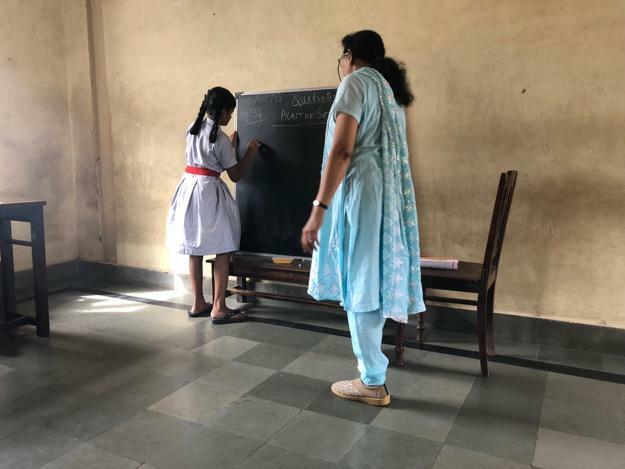 Despite the lack of resources, the girls and teachers were determined to offer their best to Seva Sadan. The experience helped me become more aware of how important education is to youth, and how I should be more grateful for the educational opportunities that I have been given. 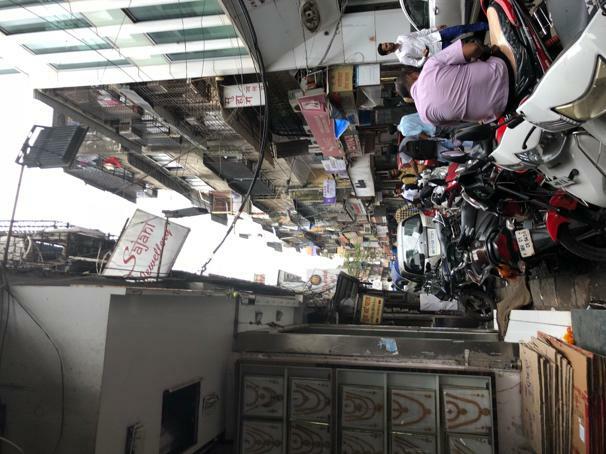 When I was not at the orphanage, I explored the busy streets and neighborhoods of Mumbai. The picture below is from a market district, where I bought a beautifully embroidered elephant tapestry. 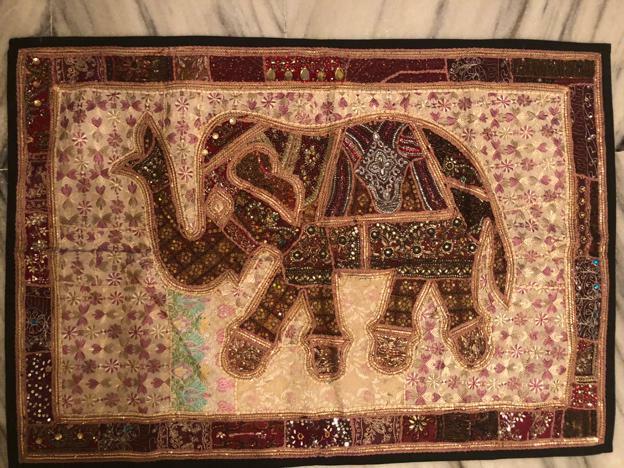 The tapestry now hangs in my dorm room as a small memory of my time in Mumbai. Mumbai is a diverse hub on the western border of India—various ethic and religious groups all gather to live in the city together. I got to see the architecture in Mumbai, which I believe exemplifies the diversity. From British buildings to Hindu temples to Churches, Mumbai’s history tells a global story. 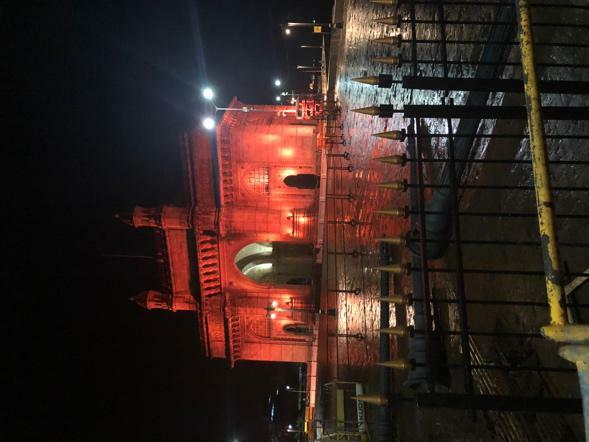 Below is the Gateway of India! This experience was formative in my academic and potential career path—I plan to work in female activism, specifically educational access, from a cognitive perspective given my concentration in neuroscience. I am so thankful to the BAE scholarship for their support on this amazing endeavor. I would not have been able to have the experience I did without their help. 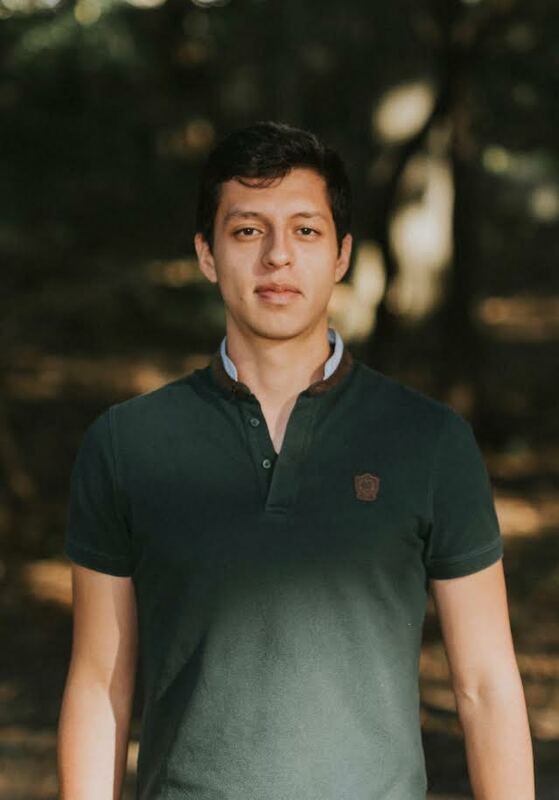 Born and raised in Bogotá, Colombia, and a tennis and saxophone enthusiast, Juan José Guzman is currently a sophomore studying in Economics and Sustainable Development at Columbia University. 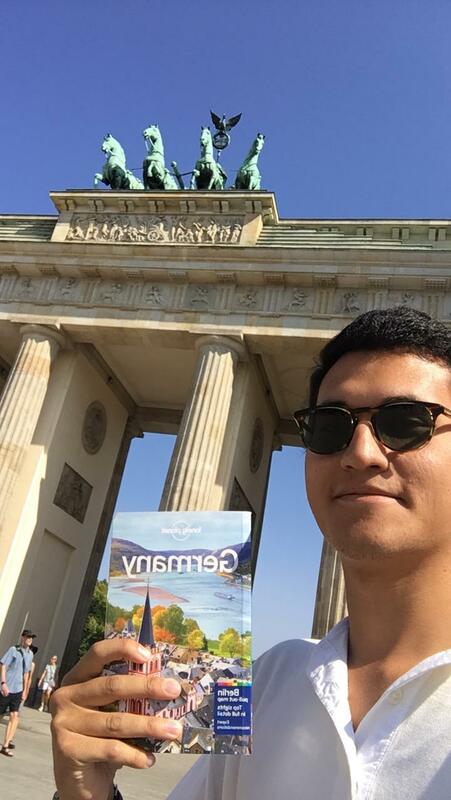 While studying at the Anglo Colombian School in Bogotá, Juan José became specially interested in learning about the tumultuous history of his home country. This sparked in him the desire to learn and engage with Colombia by joining social work initiatives after which he founded the Kaitum Foundation which seeks to promote social interest projects in Colombia. Following the footsteps of his father, Juan José began studying economics in high school being convinced that this was the “way out” of poverty and conflict in Colombia. At Columbia, he is part of the Undergraduate Committee on Global Thought, group established by President of the university Lee C. Bollinger to promote the engagement of issues considered to be of global importance, as lead of the Global Thought Video Project. He is also a senior editor of the Consilience Journal for Sustainable Development at Columbia and is currently the Vice-President of Columbia PorColombia, the undergraduate group that fosters and promotes Colombian culture and knowledge on campus. Continuing his conviction with serving those in need, Juan José will travel this summer to more than 5 Latin American Cities, to conduct research on sustainable forms of urban transportation as part of the Global Scholars Program of Columbia University, an opportunity made possible in part by the generosity of the Bruce Alan Ebersole Scholarship. Thanks to the generosity of the Bruce Alan Ebersole Scholarship Fund, I had the fortune of attending the Global Scholars Program offered by Columbia University in five Latin American cities: Rio de Janeiro and Sao Paulo in Brazil, Montevideo in Uruguay, Buenos Aires in Argentina, and Havana in Cuba. 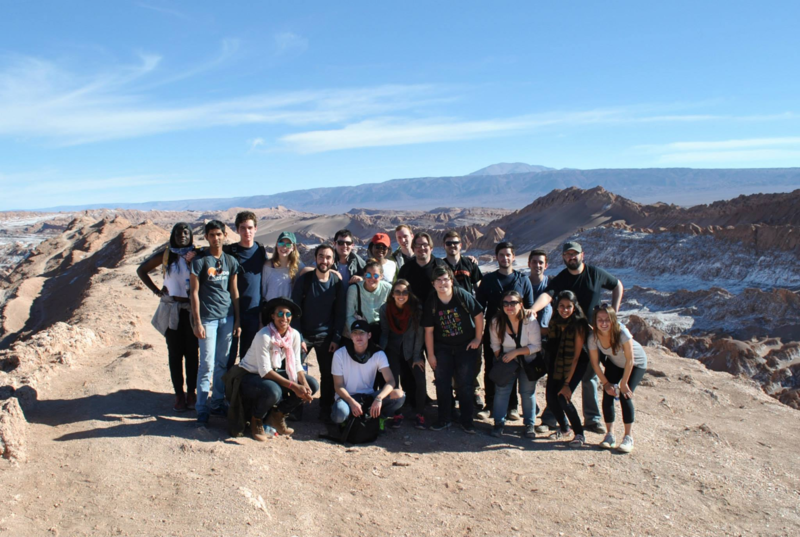 Spanning the course of two semesters, the Global Scholars Program (GSP) focused on the analysis of the architectural, urban, sociological, historical and economic phenomena present in various cities across central and south America. Being one of the most urbanized regions in the world, the academic study and physical exploration of the cities is not an easy one. To understand the complexity of the spatial and socio-economic dynamics present within Latin American cities, one needs to approach the issue from an academic perspective paired with an experiential component; this was the goal of the program. 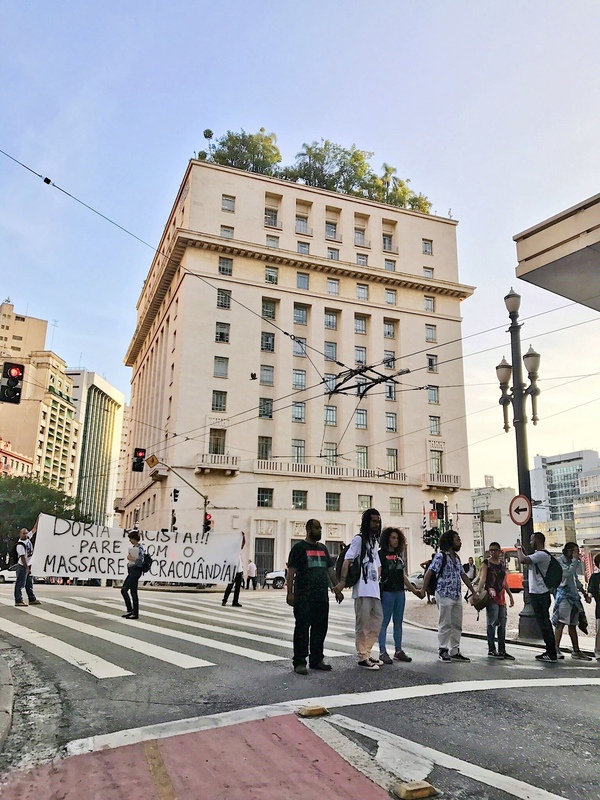 By first studying the history and background of these cities during the spring semester, we later travelled during the summer to experience these clusters of people and complexities face-to-face. In Rio de Janeiro, we were able to learn about how a small port settlement became the capital city of an empire hosting the Portuguese royal family during the 19th century, and how war and conflict was the origin of the infamous “favelas.” By visiting sites such as the Cristo Redentor in the Corcovado mountain, one could observe how a city could devour a jungle and still maintain its natural beauty. Walking past towering luxury condominiums to then enter the forgotten streets of the various favelas around the city, I experienced an all too familiar setting whereby in my native Colombia just as in Brazil, one also sees the absurdity of unequal prosperity and abundance in countries where admirable economic growth was the norm ten years ago. 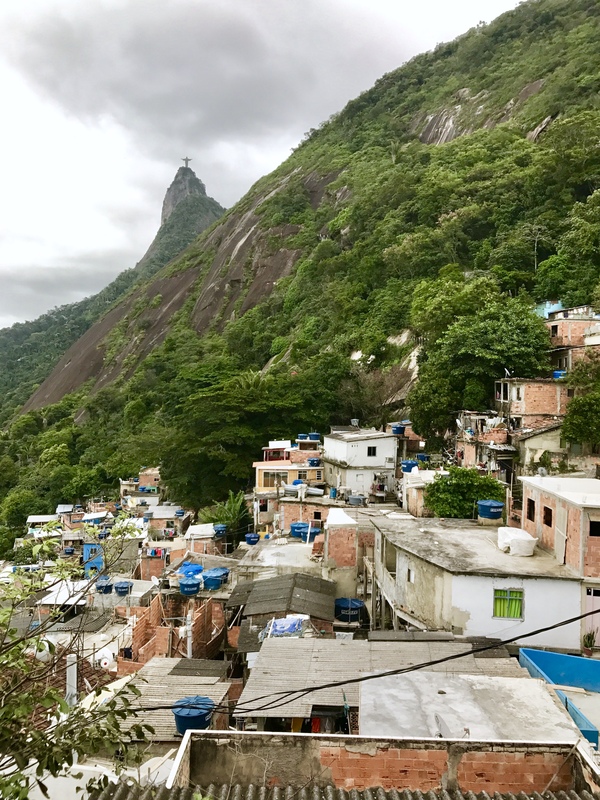 By attending lectures at the Columbia Global Center in Rio, and the experimental “Studio X” architecture and urbanism project, we learned about the influence Brazilian architects such as Roberto Burle Marx and Oscar Niemeyer had on the development of 20th century urban spaces across the world. As the program progressed and we left the hustle and bustle of Sao Paulo, where we had learned about the challenges of making a sprawling city of almost 15 million people, a sustainable urban space where public transportation currently grows against the outdated conception of car-oriented infrastructure. 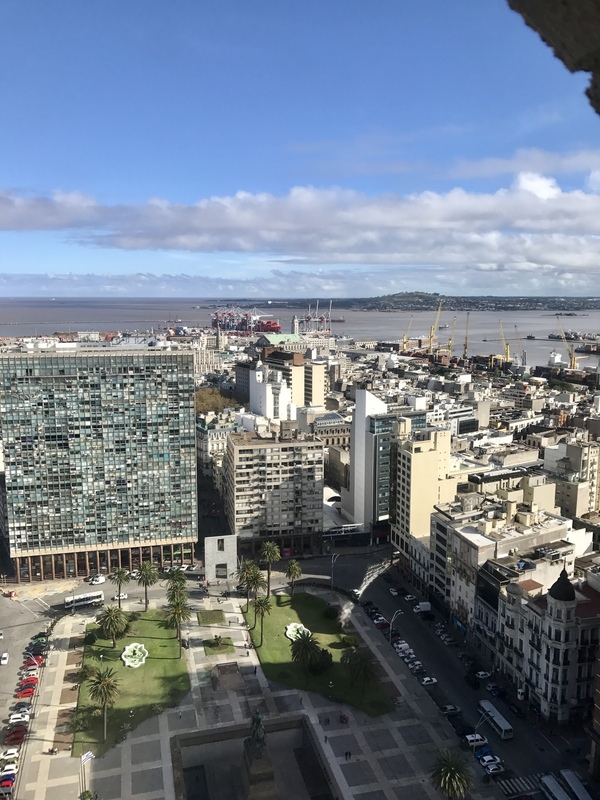 While in Montevideo in Uruguay, we learned about how an inverted population pyramid, has made young people like myself a rarity on the streets, and how in a seemingly progressive society, the American consumerist life-style I had observed in Brazil was nowhere to be seen. Taking a ferry across from the town of Colonia del Sacramento through the River Plate, we entered a city I had studied extensively for its outstanding development of an extensive network of bicycle paths during the last six years. Enchanted by Tango, and the eclectic architecture of its European streets, Buenos Aires reminded me of the long days I had spent in High School reading the works of giants like Julio Cortázar and Ricardo Piglia, whose works of Latin American literature were set in the city of the good air. By actually experiencing the EcoBici bicycle infrastructure system, I was able to also experientially test the conclusions of the paper I had written some weeks before my travels, knowing that it is not very often that one can do this. The GSP came to a closure with a week spent in the capital of Cuba, the city of Havana. An extremely influential city in the history of my country, Havana had been the place were just some months ago the peace talks between the FARC-EP guerrilla and the Government of Colombia had concluded. Beyond the stereotypical preconception of Cuba being a “country trapped in time” I found myself experiencing the people held hostage by a system most of them did not choose, but a system that has given them just as many benefits as it has taken away from them. An experience from which I can write endlessly, the GSP on Latin American Cities would have been out my reach if not for the kindness of the Bruce Alan Ebersole Scholarship Fund. For the support and the faith the fund had on my project to learn a little more about the region where I’m from, all I can say is thank you. 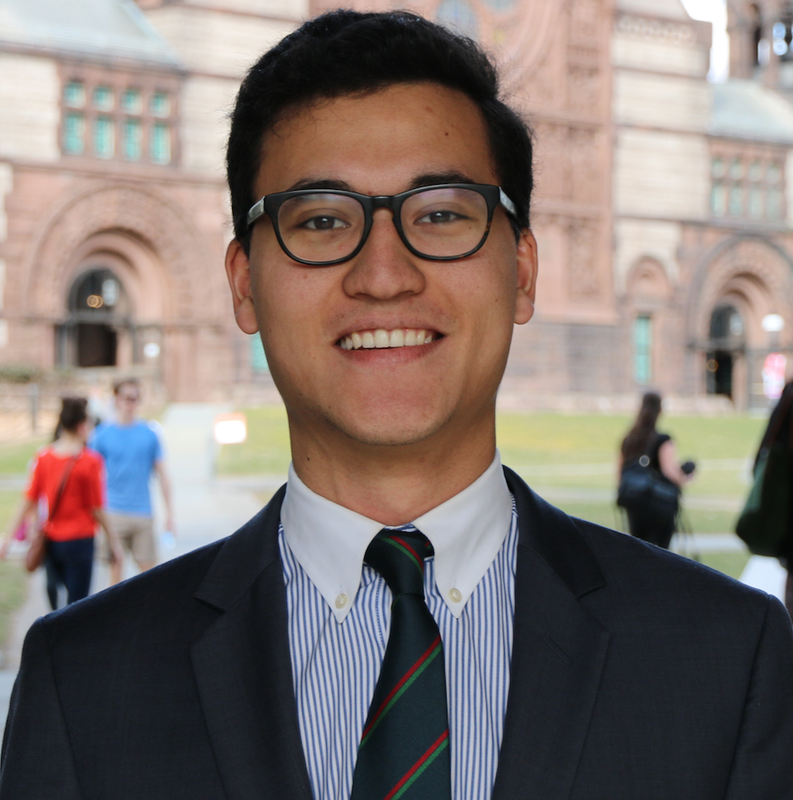 An undergraduate at Princeton University, Paul plans to concentrate in the Classics, with certificates in Entrepreneurship and Environmental Studies. Originally from New York City, Paul grew up with an eye trained on the colorful street art of Downtown Manhattan and Brooklyn. 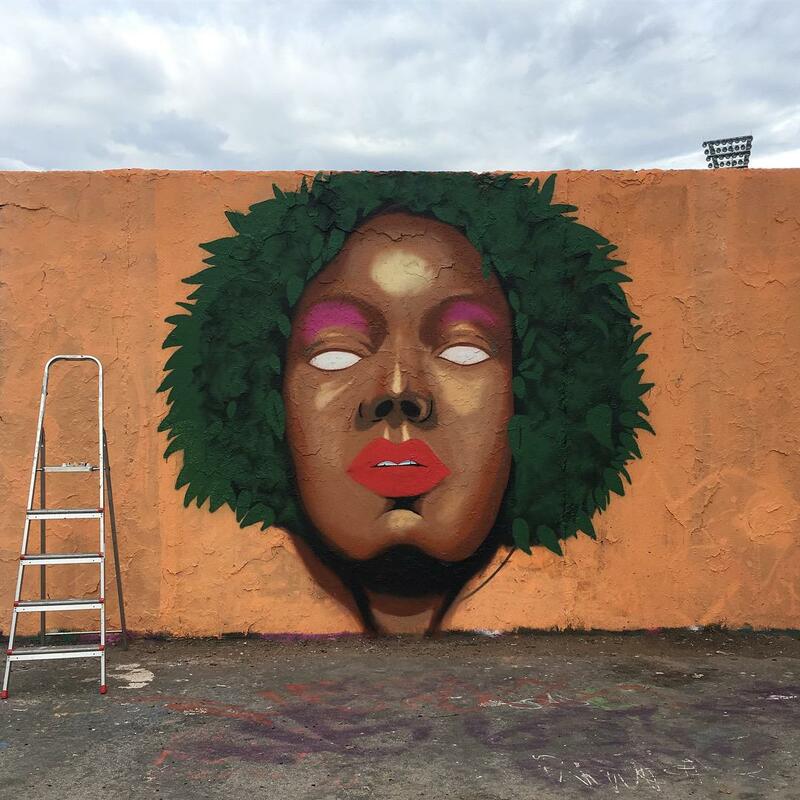 Since 2012, he has run the street art Instagram @StreetArtofParis (accessible at www.instagram.com/streetartofparis), on which he posts original photos. Outside of street art, he has served on the Executive Board of the non-profit Business Today for two years, acting as the Director of Corporate Contacts and Finance. Previously, he served as the Director of the 42nd International Conference. For fun, Paul spends time with family and friends, practices Shavasana, and voraciously consumes Wes Anderson movies. As a result of the Bruce Alan Ebersole Foundation’s generosity, I was able to photograph street art in Berlin this past August. 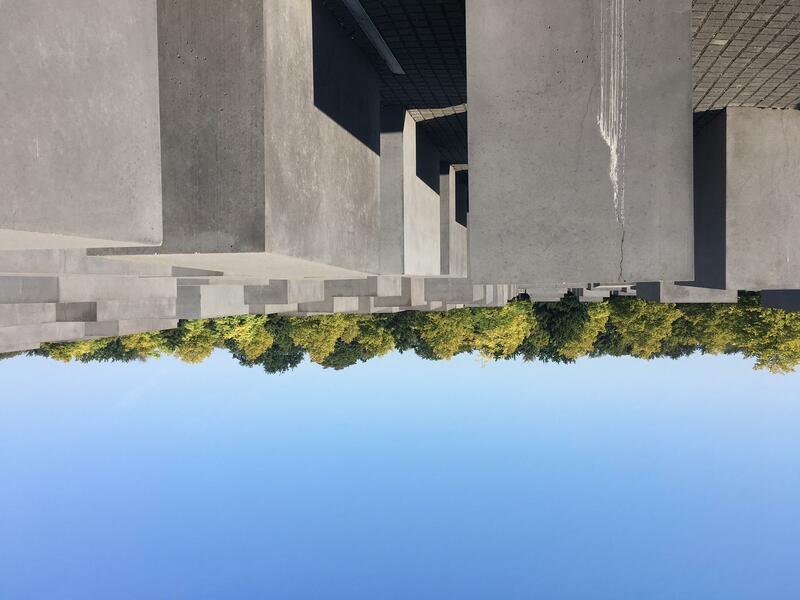 My trip to Berlin was marked by lots of travel on foot, numerous attempts on the city metro, and many snapshots of street art and graffiti throughout the city and its outskirts. My initial task was simple: to document political street art in the lead up to the German federal election on September 24, 2017. Yet upon reaching Berlin, my best-laid plans seemed to go awry. From my initial forays into the city, Berlin’s street art scene touched on the German election somewhat sparingly. Aside from official political posters, few murals or etchings indicated political leanings on the national stage. In striking up conversations with locals, I learned that the German federal election lacked the vitriol of America’s most recent presidential contest, and that I would have to dig deeper to find the pulse of German politics. The next recounts those killed attempting to escape from East Berlin. More recent street art, running through the spine of Berlin, offered beautifully painted sights. Many German artists sought to encapsulate day-to-day beauty in the literal and the abstract, whether through portraits, fictional scenes, or political messages. 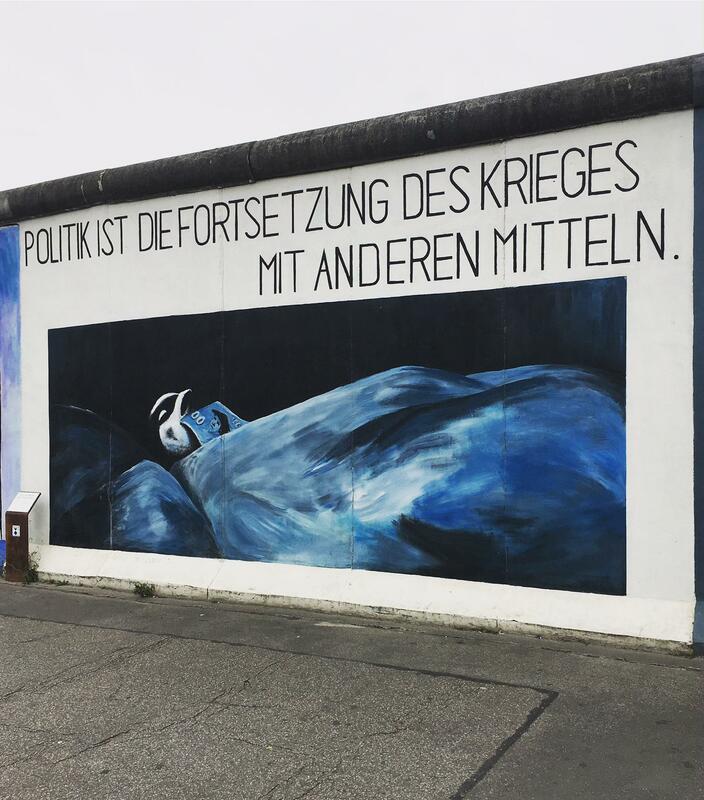 Other murals dug deeper into ongoing political turmoil and national angst. 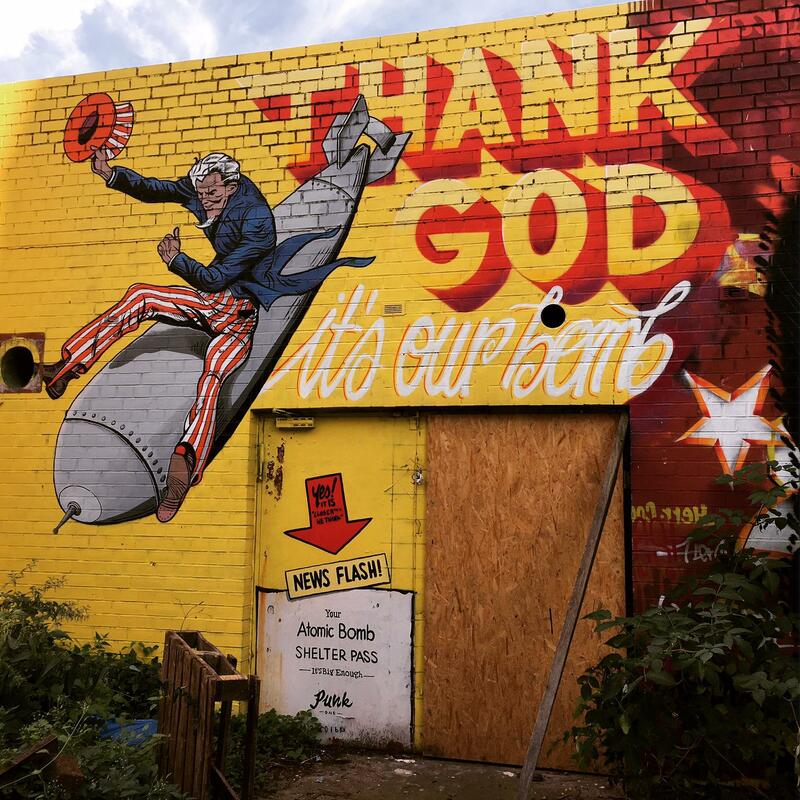 Some artists I found in Teufelsberg expressed a sense of concern about American instability and the ongoing paradigm shift in global politics. Others pointed to a fear of nuclear war. Others still used street art to wrestle with the topics of drug abuse, racial injustice, and other highly fraught social ills. While these pieces may not have directly addressed the upcoming German election, I had the sense that many core components faced a watershed moment in the nearing election. To the relief of many, the German federal election on September 24 concluded with Angela Merkel’s re-election as Chancellor of Germany. Merkel’s party, the Christian Democratic Union, as well as the Social Democratic Party, became the two largest political parties in the Bundestag. However, the German far-right, represented by the Alternative for Germany, won seats in the Bundestag for the first time in party history, indicating an uncharted path ahead. 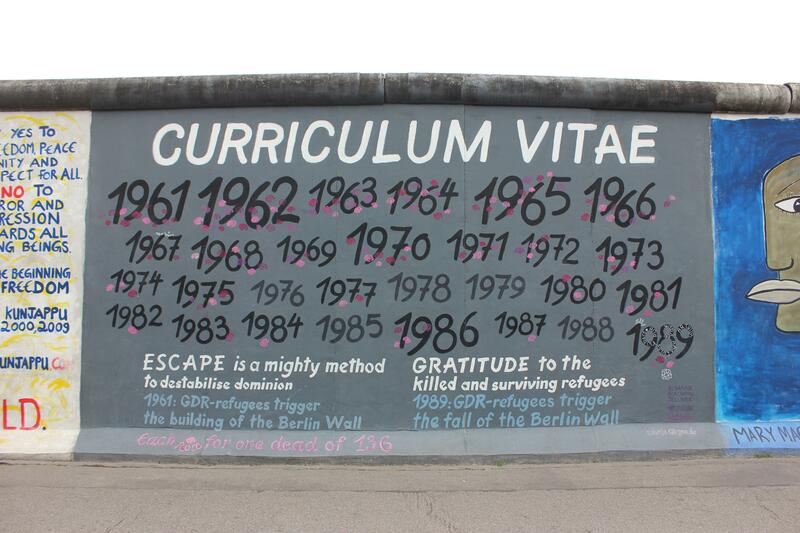 All in all, my trip to Berlin was an incredible foray into the historical and contemporary culture of Germany. My tours through local museums, exhibits, and the stomping grounds of incredible street artists provided a wonderful setting for my photography, and I owe a great deal of gratitude to the Ebersole Fund for making my trip possible. 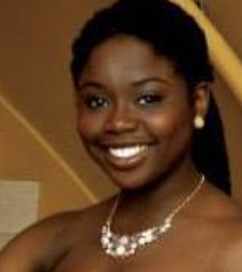 Akua is a student in Princeton University’s Class of 2017 from Detroit, Michigan. She is majoring in Civil & Environmental Engineering and is pursuing certificates in Urban Studies & Spanish Language & Culture. This summer will be her first experience travelling without her family and her first time outside of North America and Ghana. After this summer in Cusco, Peru, she hopes to continue travelling and learning about cities, specifically those in the Global South. After graduation, Akua wants to pursue a career in urban planning & development. Thanks to the BAE Scholarship Fund, this summer, I had the opportunity to spend 8 weeks in Cusco, Peru to complete an internship. I worked for a non-profit organization called Huchuy Yachaq, aimed at servicing children and giving them a space to wander and play so that they would not be on the streets. The program was aimed at serving the entire family; so many of the components were geared toward fostering a stronger community where all children could thrive. Through providing informational services and afterschool program, Huchuy Yachaq is able to empower kids through continued contact and engagement with them. My responsibilities for them included tutoring and interacting with the children and other people at the organizations so I could learn about it. Moreover, my interactions with these individuals were beneficial so that I could post relevant content to the social media page in order to find funding for the organizations. The experience was definitely challenging--- I’ve never attempted to serve anyone that I did not completely understand so it was hard to gauge whether I was doing it well or not. However, this experience was also rewarding for me because I was able to immerse myself in a different culture and understand the problems impacting them. Though I definitely didn’t do it perfectly, it was definitely overall something I am immensely grateful that I had the opportunity to do because I learned so much in so many different ways. When I wasn’t working with organization, I explored the local area around Cusco. Cusco and its surrounding areas are home to various important historical sites. I was able to take tours of them and learned that Cusco was once the center of the ancient Incan civilization. In the area, there were several different amazing sites of ruins that were crucial to the development and survival of Incan civilization. In these ruins, there were great religious sites of worships, agricultural testing centers and military bases. One of these places that was the fascinating for me was the Temple Qoricancha, which was a sun temple turned Catholic Church during the Spanish Conquest. An earthquake in the 1950s revealed that the Church had been built over an Incan temple. Archaeologists partially restored the Incan temple to its original condition but learning about this juxtaposition of cultures sparked my interest in urban studies. Seeing this combination of both Catholic Church and Incan temple in one site showed me how different cultures can interact within a city and how though one culture may be under the rule of another, it can resist and still remain prominent against all odds. In addition to this internship work and local explorations of the areas surrounding Cusco, I was able to adventure to various exciting destinations throughout Peru during the weekends. The first weekend, I travelled to Lake Titcaca, which is the highest navigable lake in the world. I spent the weekend exploring the floating islands that several native Peruvians call home and spent a night with a native Peruvian family, learning more and immersing myself in the more traditional part of the culture. A few weekends later, I was able to travel to Paracas and Huacacina. Paracas is the site of a national reserve that has an amazing combination of views of the Pacific Ocean and tropical desert. There were also flamingos in the area! In addition to this, Paracas is near the Islas Ballestas, which is also referred to as the “Poor Man’s Galapagos,” and it was filled with several different types of animals including sea lions and penguins. It was very exciting to see all of these different animals outside of a zoo environment. Finally, Huacacina is the sight of a desert oasis so during my time there I was able to take a sand buggy tour and go sand boarding in the dunes! These weekend trips were definitely filled with fun and excitement, as I was able to see things that I had never expected would be possible for me. All of these invaluable experiences & learning opportunities would not have been possible without the generosity of the BAE Scholarship! I am extremely grateful for their kindness and support of my endeavors. Mackenzie is a student athlete in the Olin Business School at Washington University in St. Louis, and is a pitcher for the varsity softball team. At WashU, she is also an Olin Peer Ambassador (a mentor for incoming business students), a member of Fellowship of Christian Athletes, and an intern in the sports communications department. Majoring in economics and strategy and political science, her interests lie in government consulting, international relations and foreign policy development, and more broadly, the intersection of business and government. She is from Ripon, a small town in California’s Central Valley, and will be leaving the continent for the first time this summer. 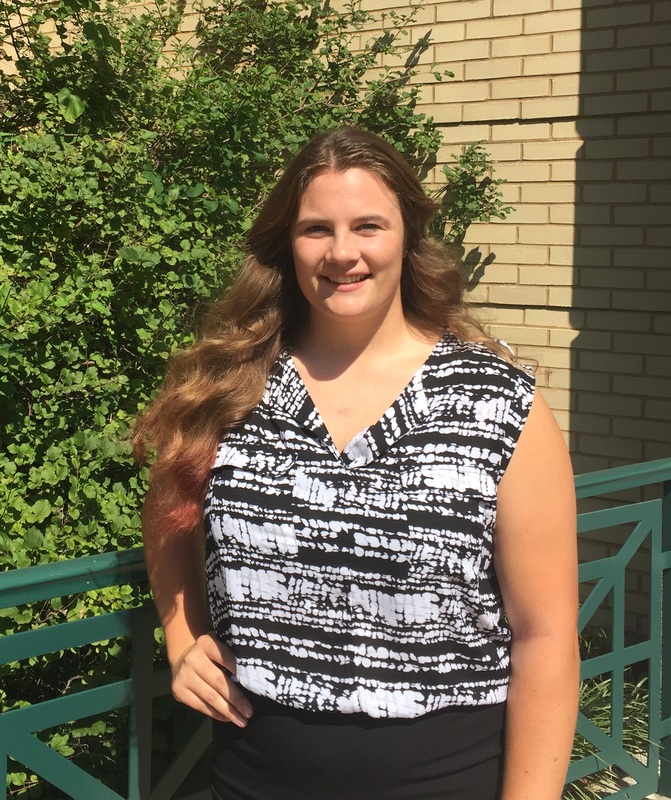 Mackenzie believes strongly in the importance of local level development and governmental organization for serving citizens in economically sustainable ways, and is excited for the opportunity to examine the spread of democracy from a non-American perspective this summer. Thanks to the Bruce Alan Ebersole Scholarship, I had the opportunity to spend six weeks studying abroad in London this past summer at the London School of Economics and Political Science. I took two three-week courses – Corporate and Organizational Strategy and International Politics: Building Democracies from Conflict. During my time in London, I was able to speak with and attend lectures by some of the top business experts in their fields, and I was also able to work on real world cases with teams of people from all over the world. I was able to examine the spread of democracy and various perspectives on power-sharing structures and agreements from a non-American perspective. Furthermore, it was an incredibly rewarding experience to jump into life in a new country and have to adapt quickly without knowing anyone else in the program. In Corporate and Organizational Strategy, I was able to learn about strategy, competitive advantage, vertical scope, product scope, pay structures, internal capital markets, corporate culture, delegation of power in the firm, strategic alliances, integration in mergers and acquisitions, and bargaining and cooperation problems. We also took an in depth look at case studies of Starbucks, Coca-Cola, the oil and gas industry, Newell/Rubbermaid, and performance pay and its role in the banking crisis. In the International Politics course, we covered the democratic validity of Iraq, the role of greed and grievance in civil war, the causes of civil wars, a case study of South Sudan, the strategic nature of terrorism, the resource curse, consociational democracy, a case study of Northern Ireland, the challenges and benefits of ethno-federalism as a conflict management mechanism, UN peacekeeping missions, transitional justice and truth commissions in particular, a case study of South Africa, various electoral systems, and the Arab Spring. Not only was I able to get to know London, on my first trip off the North American continent, but I was also able to do some solo traveling as well. 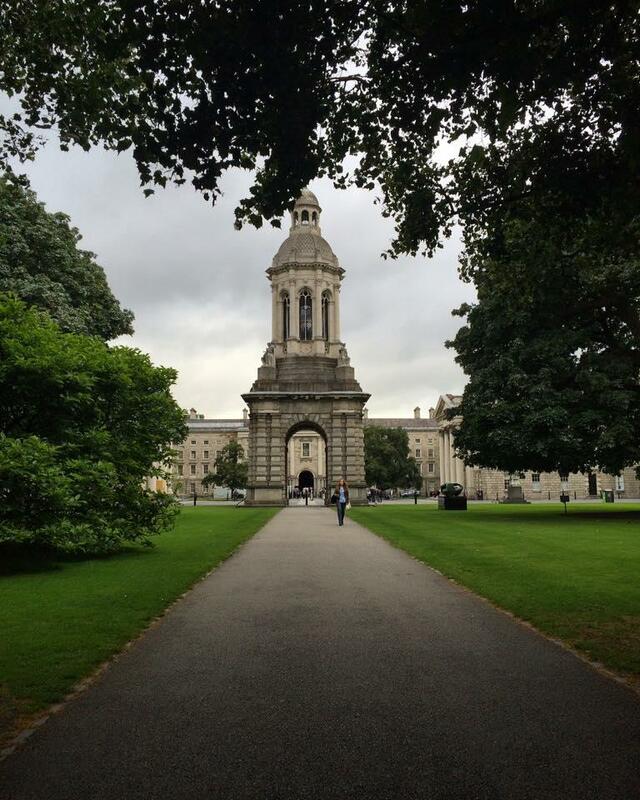 My first trip was out to Dublin where I went to several museums, the Book of Kells at Trinity College (pictured), Saint Stephans Green, Dublin Castle, Saint Patrick’s Cathedral, Grafton Street and the Temple Bar area. I was fascinated by the people and the liveliness of the city and was so fortunate to be able to incorporate that short weekend trip into my summer experience. 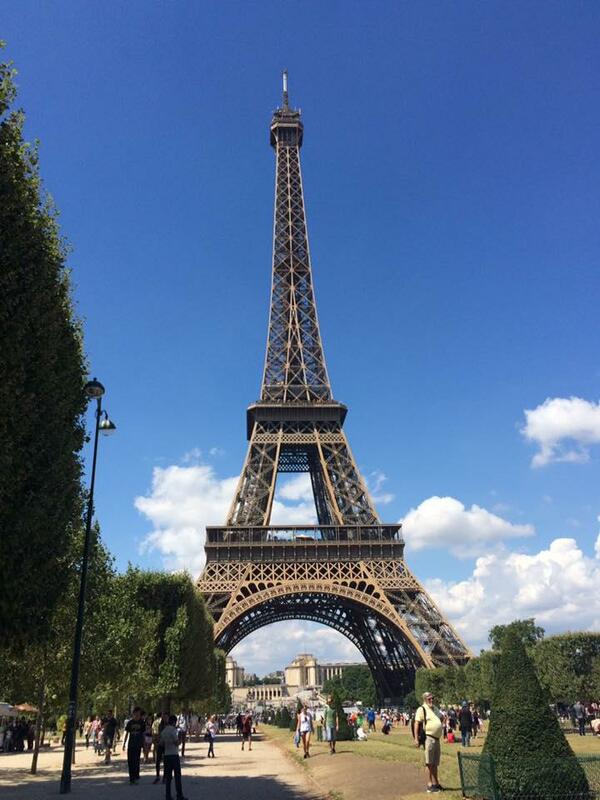 Between the two courses, I was able to hop on a train and spend the weekend in Paris. This was such a beautiful city with an amazing culture and rich history. There was so much to see in such a short time and I never stopped moving. While there, I made my way to Sacre-Coeur and climbed the 300 steps up to the dome, spent some time in Montmarte, walked down to the catacombs, spent a few hours in Le Louvre, and saw Saint-Chapelle, the arc de Triomphe, Hotel des Invalides, the Latin Quarter, Notre Dame, Saint-Sulpice Church, and of course the iconic Eiffel Tower. For one of my final weekends in Europe I made my way out to Edinburgh to see a friend from my hometown at Fringe Festival. 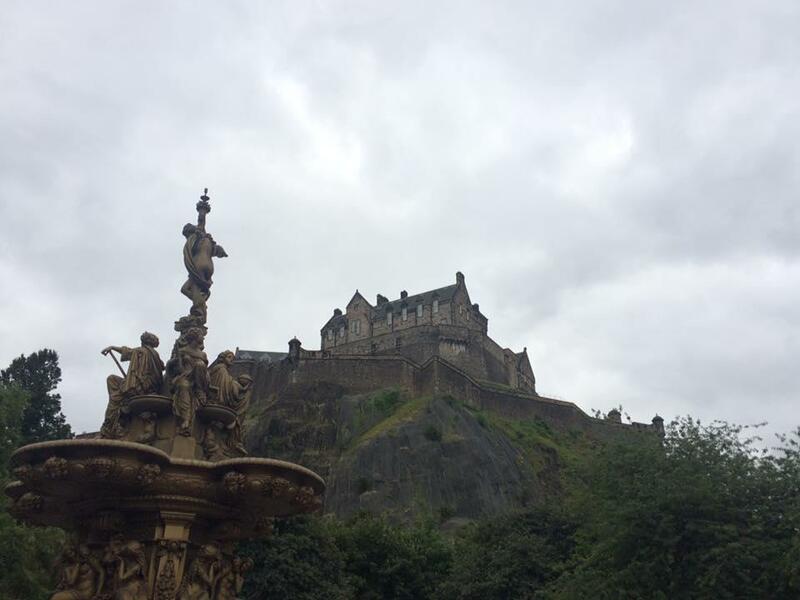 I learned so much about the history of Scotland and was completely in awe of the landscape and architecture of the city and surrounding area. I made my way up and down the Royal Mile a few times and spent several hours at Edinburgh castle (pictured), saw the National Museum of Scotland, the Scottish National Gallery, Calton Hill, Holyrood Park and Arthur’s Seat, the Palace of Holyroodhouse, the Scottish Parliament Building, the Scott Monument, Regent Gardens, and soaked in some of the amazing visual and performing art showcased at Fringe. I was incredibly fortunate to be able to spend an amazing six weeks in a way I never thought possible where I studied at an exceptional university, formed friendships with people from all corners of the world, learned more than I ever thought possible about European history, and even did some traveling. I am so thankful for the BAE Scholarship for their support in making this study abroad experience a possibility! 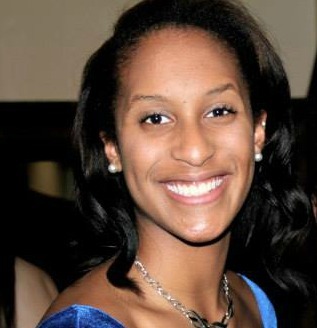 Vanessa is a student athlete at Princeton and a part of the Varsity Women’s Basketball Team. 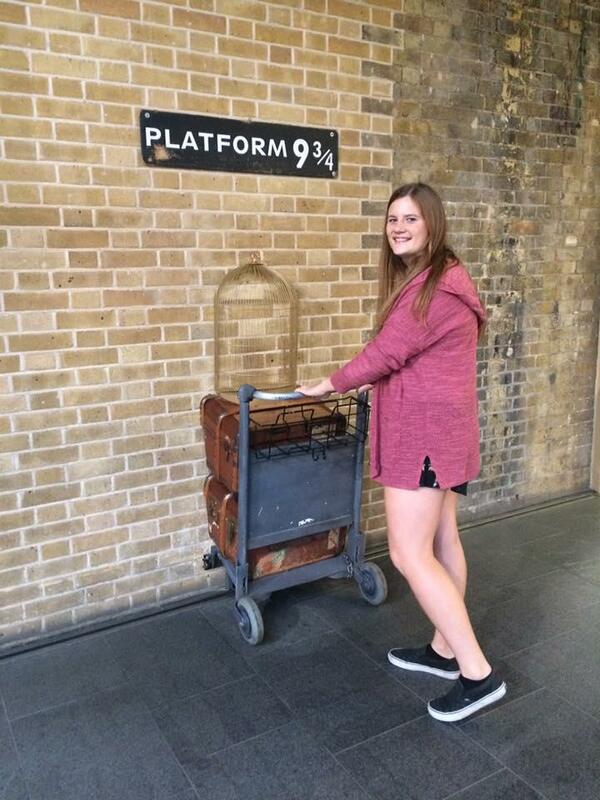 Majoring in cultural anthropology, her interests lie in pre-Colombian studies, ancient art, and Spanish. She is from Cleveland, Ohio and has traveled only to Europe (Spain and Ukraine), but would like to continue to travel and will be in South America for the first time this summer. Vanessa believes strongly in community development, and becoming a citizen of the world through continued exploration and education. She intends on attending graduate school after graduation to pursue a PhD and become a college professor. 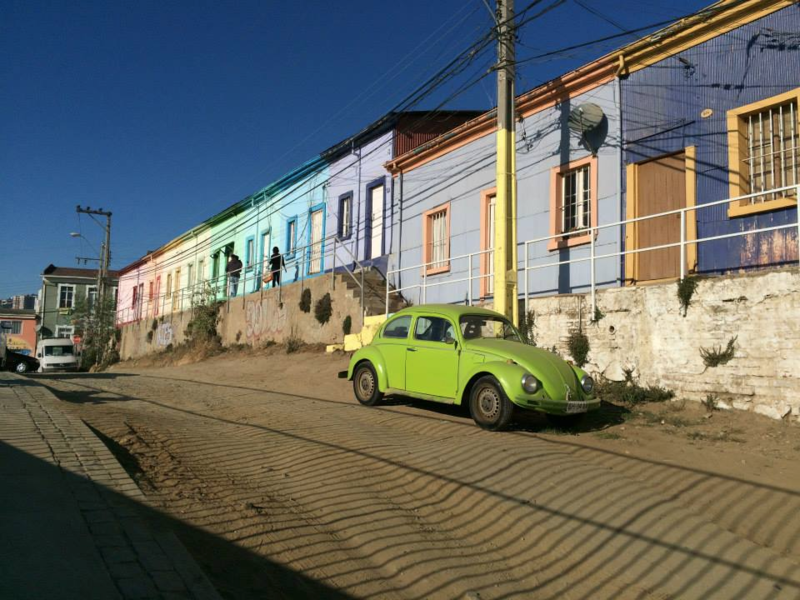 This summer, thanks to the generosity of the Bruce Alan Ebersole Scholarship I had the opportunity to spend 10 weeks in Santiago, Chile participating in a Global Seminar that focused on Chilean political and social history through an artistic lens. This experience was eye-opening, visceral, and left me with a profound awareness of the impact and importance of art as a public voice and a source of documentation. Chilean art during and after the dictatorship in the 70’s and 80’s served as a platform for social critic, a voice against injustice, and a stark declaration of the truths of the atrocities committed during this time period. The promulgation of art during and after this time served as cultural artery that sustained society and Chile’s history in many ways. From this class, I have taken on a new understanding of the power of images and art, I have garnered a heightened consciousness to the underlying and structural history of a contemporary culture, and a new found appreciation of performing arts and written word. Being completely immersed in culture whose history still reverberates within its present is an uncanny experience that I will never forget. Only 40 years removed from the most significant cultural and political rupture in the fabric of Chilean society, the streets and buildings of Santiago still echo its history, and Chilean art continues to tell the story of the foregoing and ongoing struggles of this country. During my time there I visited art museums, traveled to the largest port city of Valparaiso to see cultural centers and historically significant sites. 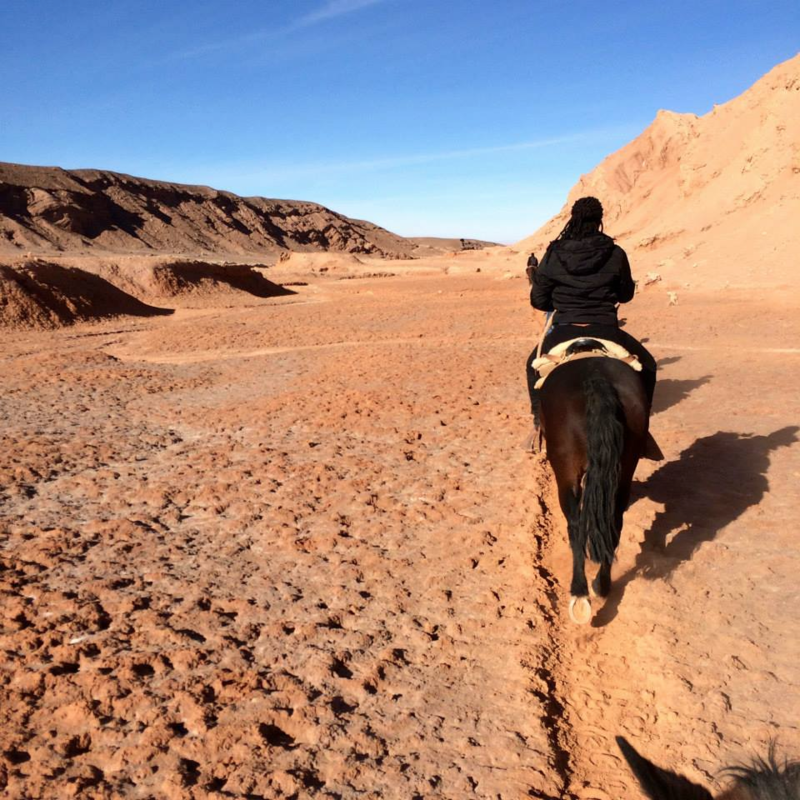 One of the highlights of my trip was visiting the Atacama desert in the North of Chile and learning about the intersection of temporalities (time and space) and how the desert and the night sky, littered with stars, both suspended time and preserved the history of Chile. This experience was formative in my academic and potential career path as it sharpened my Spanish speaking abilities, tuned my aptitude for cultural exchange and fed my zeal for art and its role in shaping cultures. I am so thankful to the BAE scholarship for their support on this amazing endeavor.